Adam Stafford - Atheist Money. 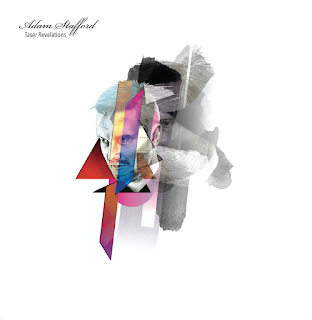 Background promo - Adam Stafford returns with his first album in nearly three years following the widely acclaimed Imaginary Walls Collapse in 2013. Taser Revelations was recorded at The Happiness Hotel, Song by Toad's newly aquired warehouse recording space. Utilising the warehouse's natural room reverb to great effect, the album features producer and multi-instrumentalist Robbie Lesiuk performing a variety of instruments including steel drums, organ and piano. Greggor Douglas plays the Roland Juno/omnichord and ex-Maple Leaves Anna Miles provides harmony vocals. Continuing Stafford's trajectory into electrified alternative pop, Taser Revelations begins with some of the most melodically catchy songs he has ever written, before taking a swerve down a dark alley midway through the album, venturing into industrial syncopation, samurai-guitar attacks and some unsettling, vivid imagery. Album available (here). 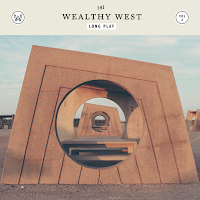 The Wealthy West - I've Got To Go. Background bio - Brandon Kinder may not be a household name but there's a good chance you've heard his songs or voice somewhere over the past few years as front man for Austins anthemic rock group The Rocketboys. As a solo singer under his own name and his Wealthy West moniker Brandon's music has been used in an enormous array of TV shows, indie movies and commercials. My Fury Darling - Satisfied. Background & promo words - There is a bruised elegance, razor­sharp wit, and quirky theatricality about the music of Richmond, Virginia-based band My Darling Fury. With a name that evokes thoughts of vulnerability wrapping its arms around unbridled rage, the indie pop trio of Todd Matthews, Joel Hollister and charismatic frontman Danny Reyes, defies genre limitations with songs that celebrate the unpredictability of life and love. Following the release of their debut album Licking Wounds in 2013, the band returns with A/O/K, out this Winter; a record that continues to push their singular aesthetic in new and exciting directions. Third Ear - The Ghost Road. Promo words - Third Ear engage the senses and offer an exquisite arrangement of themes and mood, designed to gently guide you as you embark upon a shared journey. Sometimes breezy, laid back and cool, sometimes taut, explosive and rollicking, Third Ear’s musical works are textured throughout with depth, imaginative flair and a soulfulness that seeks the heart. Having well served their “live music apprenticeship” by travelling and performing extensively across the country supporting various headliners, Sunshine Coast based act Third Ear have released their debut single “The Ghost Road.” Produced by Mark Paltridge and recorded at Spark 1 Studio’s Maleny, The Ghost Road displays a captivating mix of classic American 60’s surf beat and Jim Morrison style dark lyrics and overtones reminiscent of The Doors. Cabin Cults - Lights Out. 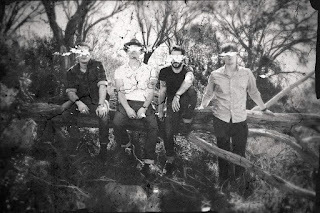 Background promo - After sharing stages with the likes of The Jungle Giants, The Cairos, North East Party House and more, Adelaide’s Cabin Cults are now gearing up for their headline launch show for new single ‘Lights Out’ January 16 at local watering hole The Hotel Metro. Taken from their just released EP ‘Riot Is The Watchword’, ‘Lights Out’ is an energetic slice of synth driven post-punk with an urgent lyrical desperation of disbelief that’s all wrapped up in a Pixies inspired pop sensibility. 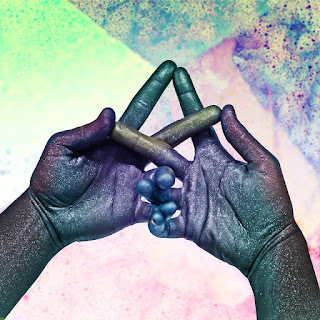 Teaming up with producer Badcop (Tkay Maidza, Mio), the band have craftily captured their jam room instincts while ultimately shaping their material with an electro inspired sound.